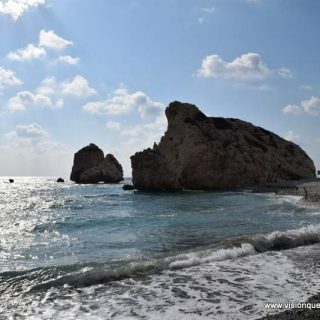 About halfway between Pahpos and Limassol in Cyrprus, along the B6 highway, is Aphrodite's Rock. It is worth a stop as part of a scenic drive or to even spend the day. Strange, as many of the locals we met, when they learned we came from the USA asked us "why did we come to Cyprus?" Can't say I understood the question, but here are a few pictures so judge for yourself!